Trend Marines technology is in great demand by leading designers and builders of mega and Superyachts whose customers expect stylish and outstanding shapes and complex curves for windows and doors. We can create and supply everything from automated Superyacht doors to customised feature windows, portholes, hatches and sunroofs. 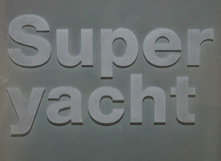 Trend Marine produces finished Superyacht glass solutions that meet Classification Society standards. With glass contributing considerable weight to a yacht it is always to consider weight reduction with all Superyacht glazing solutions. Using pressure testing with in-house Class Society approved test equipment, we can propose impressive weight reductions when compared to the conventional calculation methods. 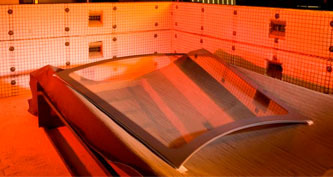 Recent tests suggest an impressive 30% weight reduction meeting classification rules via the use of laminated chemically toughened glass and pressure testing. Products can be RINA, Lloyds, BV, ABS & DNV approved and SOLAS compliant. These societies are fully aware of our quality standards and marine glazing capabilities and customers are invited to send their classification society surveyors to our factory. Continuous investment in technology and a commitment to unrivalled quality and service has made us first choice for designers and builders of some of the sleekest and most exciting Superyachts in the world. Trend Marine have invested significantly to bring all aspects of glass processing onto one site. This allows us to manage projects time-lines and ensure the highest standard of quality control. Customers can be certain of the highest standards of workmanship and can be reassured by the fact that all products are rigorously tested to meet or exceed internationally accepted standards. 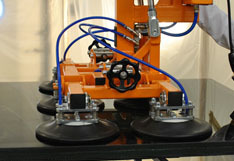 The Company ensures that the highest criteria of quality and safety are applied in everything it does.